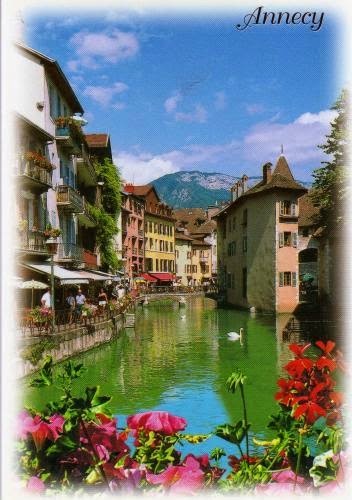 Postcard FR-401752 from France shows Annecy, a commune (equivalent to township or incorporated municipality in the United States) in south-eastern France. It is located at the northern tip of Lake Annecy, 35 kilometers or 22 miles south of Geneva, Switzerland. Also today, France crushed Switzerland 5:2 in a Group E match at the 2014 FIFA World Cup in Salvador, Brazil on June 20, 2014. A pitch invader rushed the field towards Mathieu Valbuena and Yohan Cabaye of France at Arena Fonte Nova to celebrate during the match.